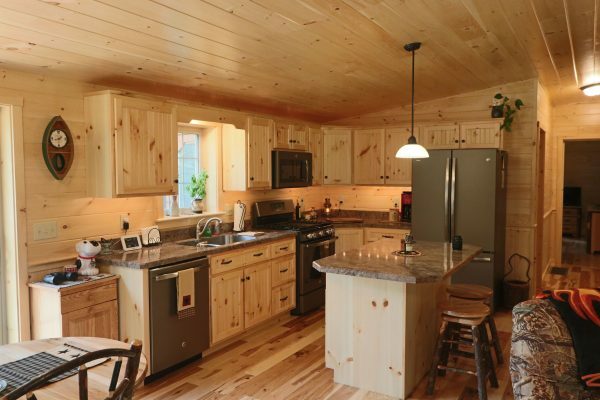 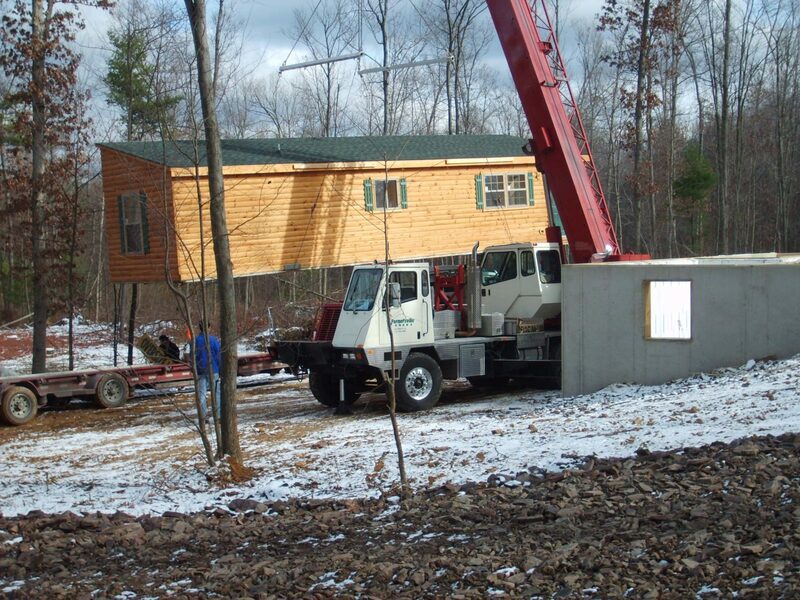  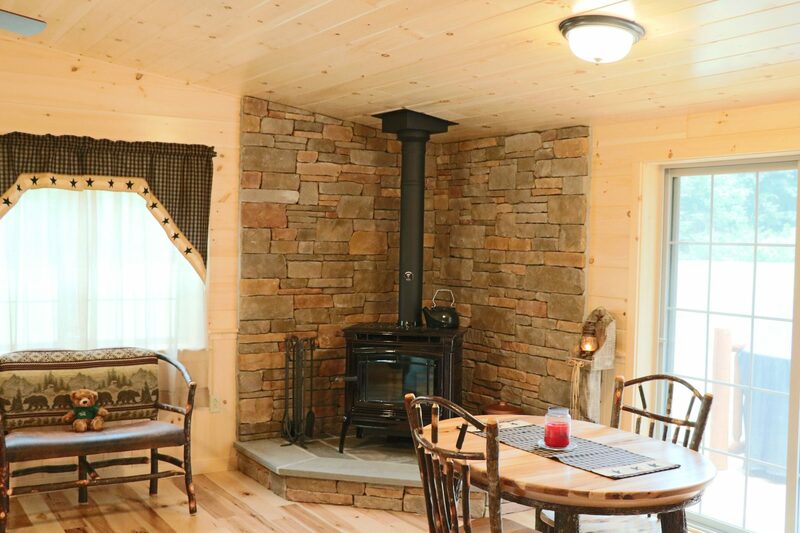 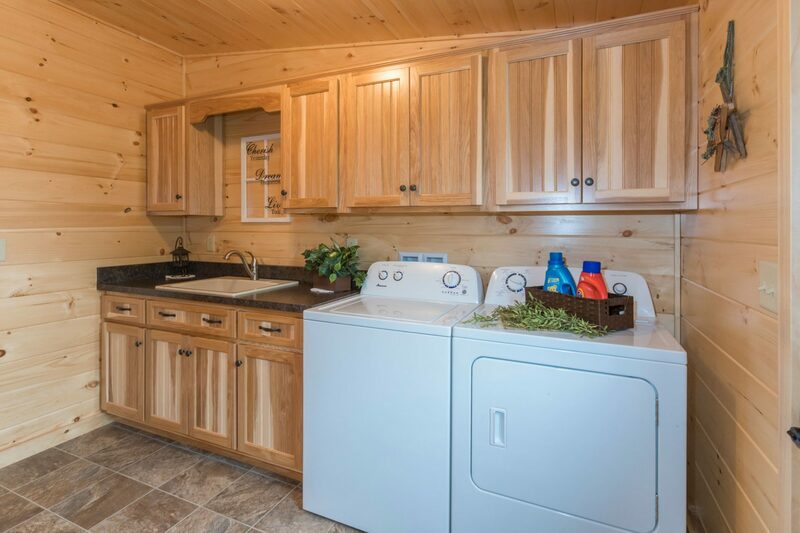 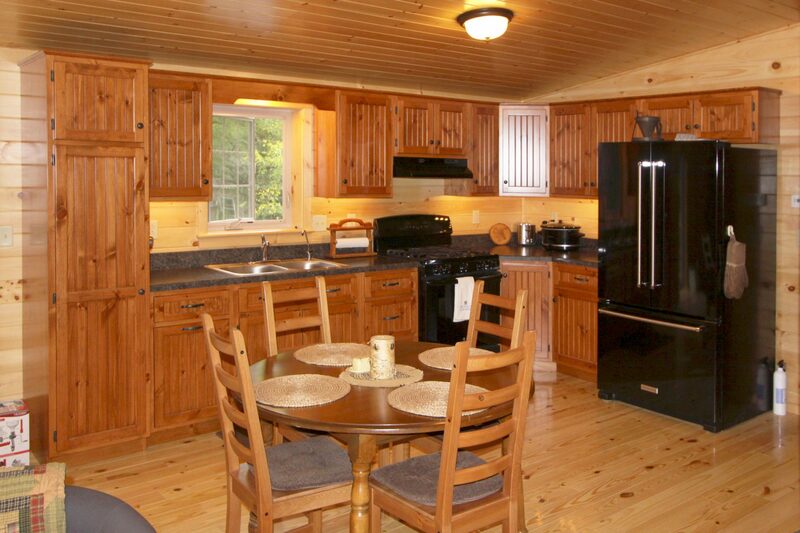 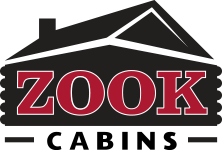 The Frontier Log Homes offer the same interior space as the Modular wide Settler Cabins. 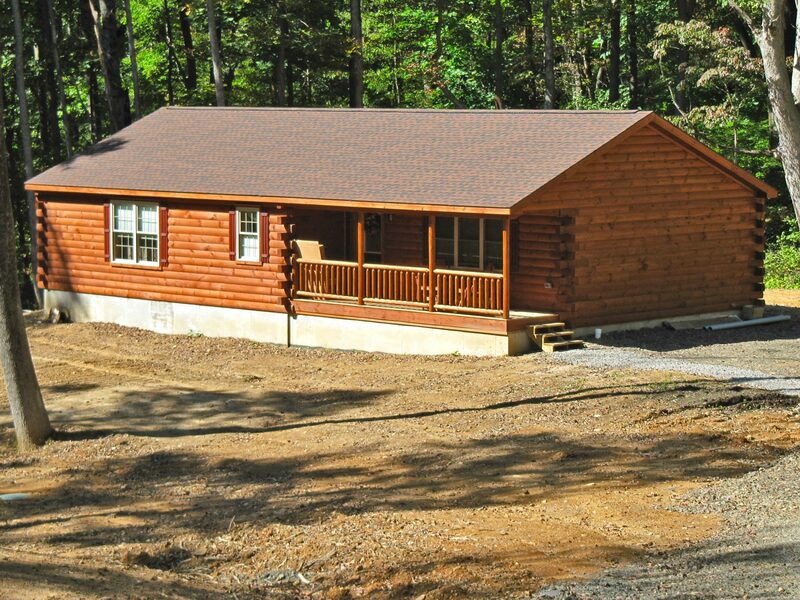 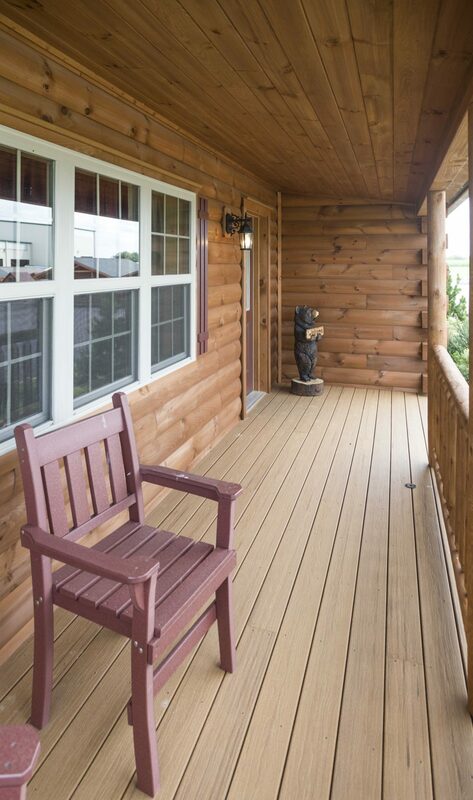 The difference is that these log cabin plans include a corner porch. 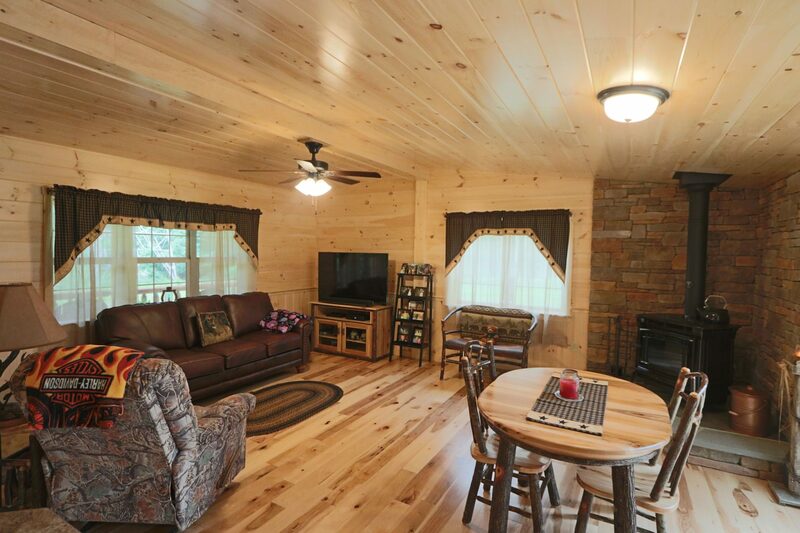 The cabin layout gives you a beautiful great room perfect for spending evenings either relaxing or enjoying time with friends. 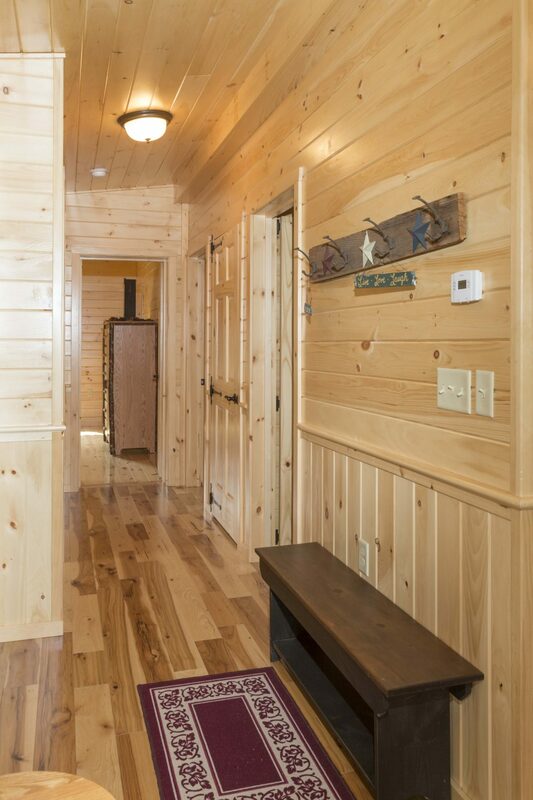 Standard Features of the Frontier Log Homes include stained log siding, one wood entrance door or an insulated 6 panel steel door with standard house lock set, 6′ corner porch with log railing, 24″ X 36″ insulated single hung vertical sliding windows with poly baton shutters, and 2X8 rafters 16″ O.C. 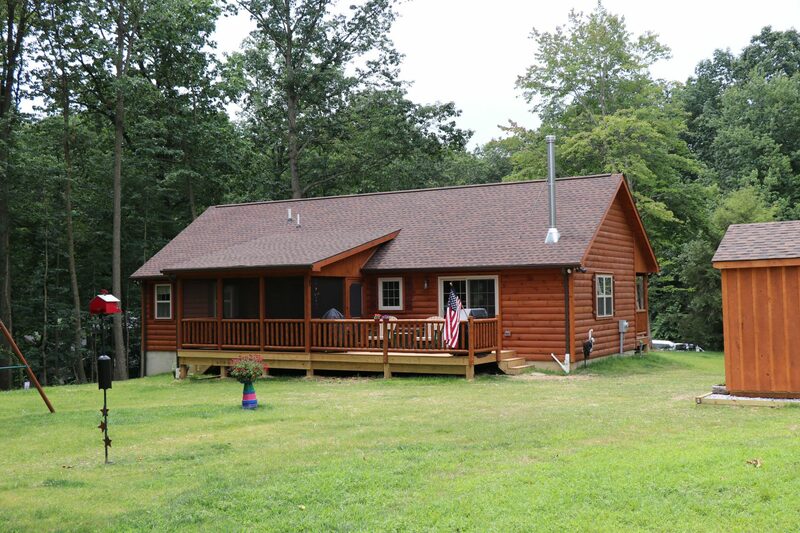 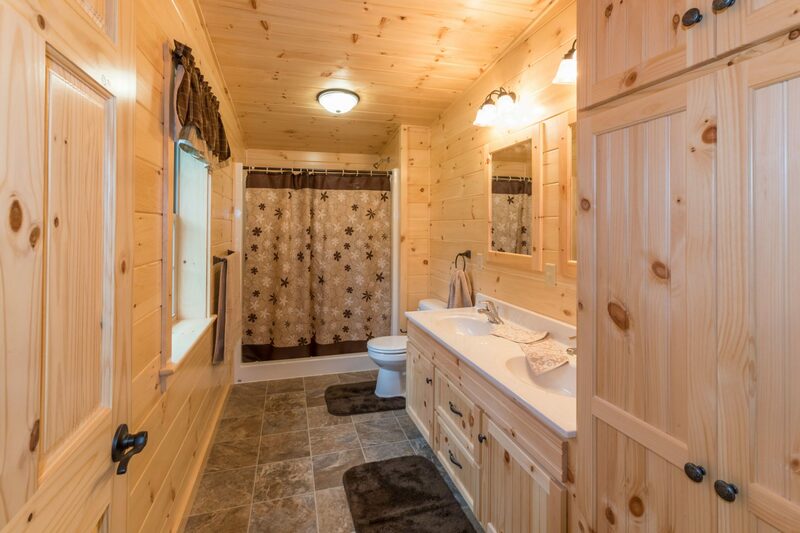 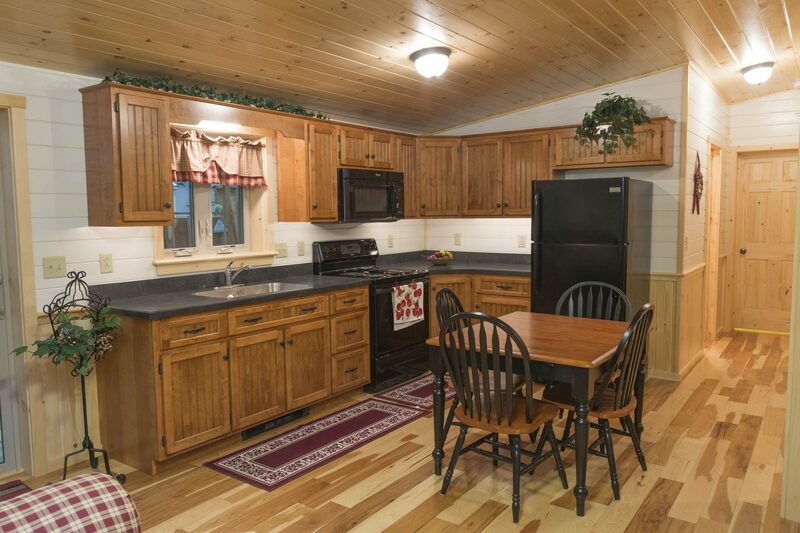 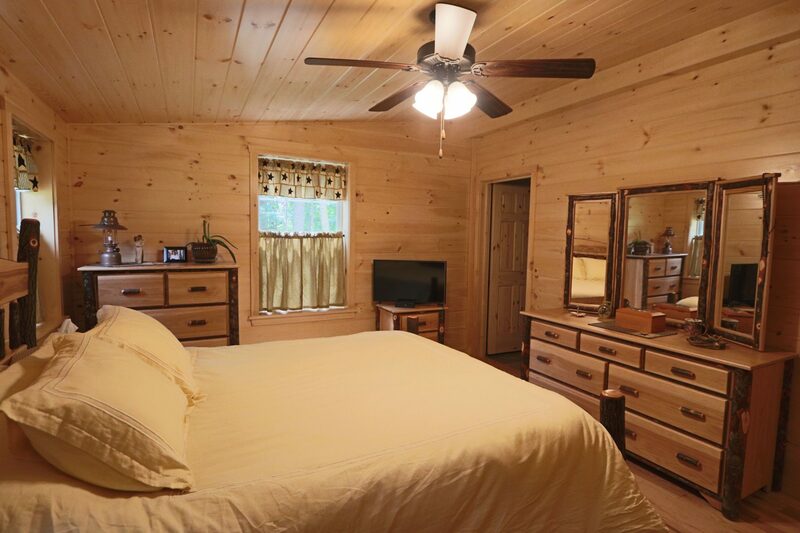 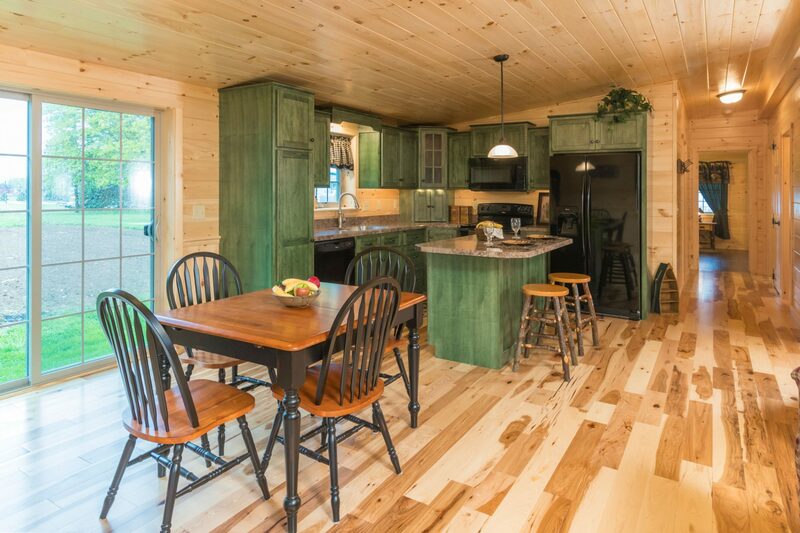 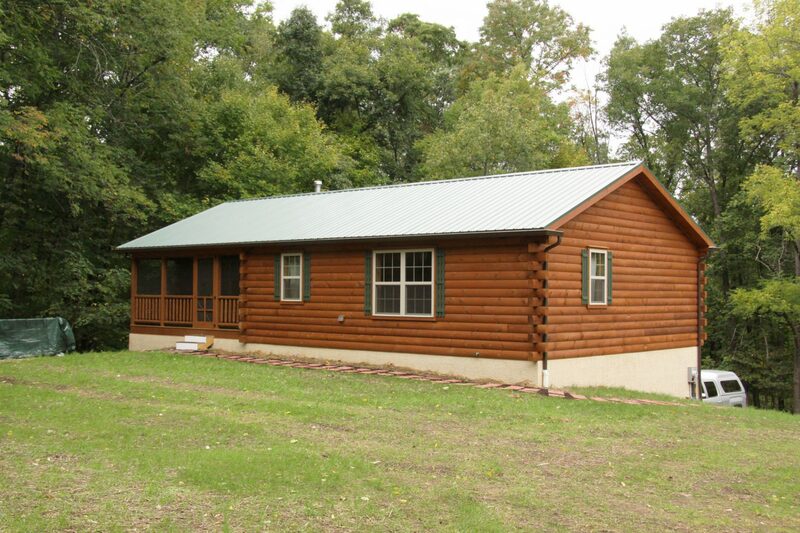 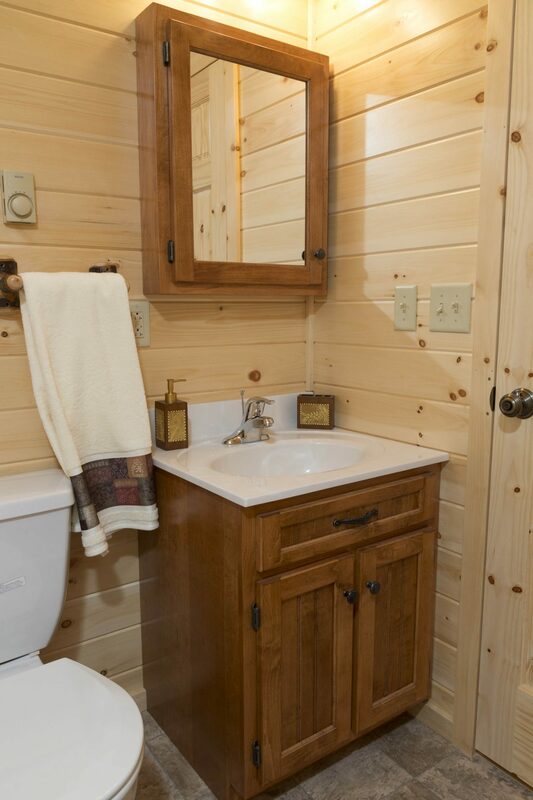 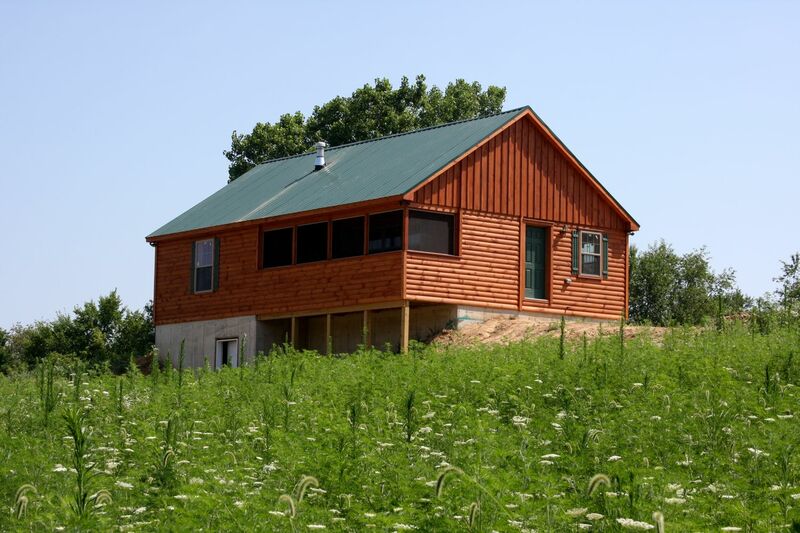 Frontier Cabin Home Options Available include finished interior, hardwood flooring, electric, bathroom package, kitchenette, fully insulated, and many others. 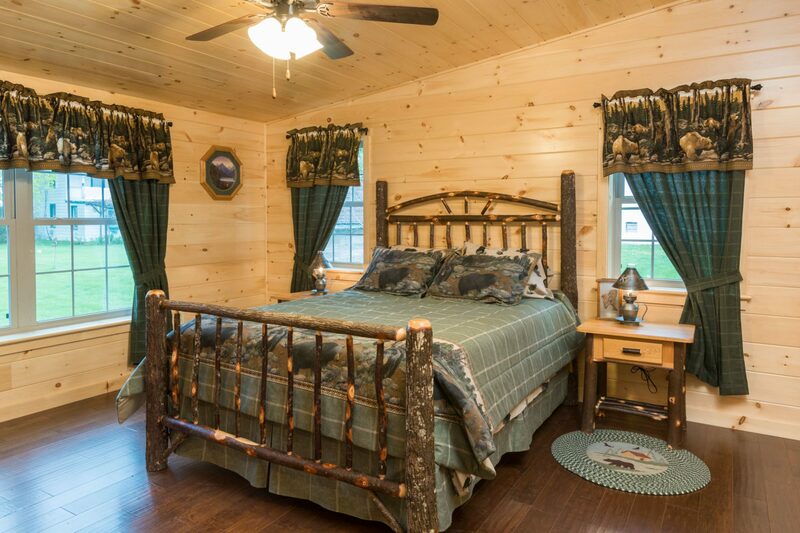 I really do want to tell you that Jen and I love the cabin, I have received so many compliments it is unbelievable.